As the world crumbles around us, the gossip machine keeps sputtering and turning. 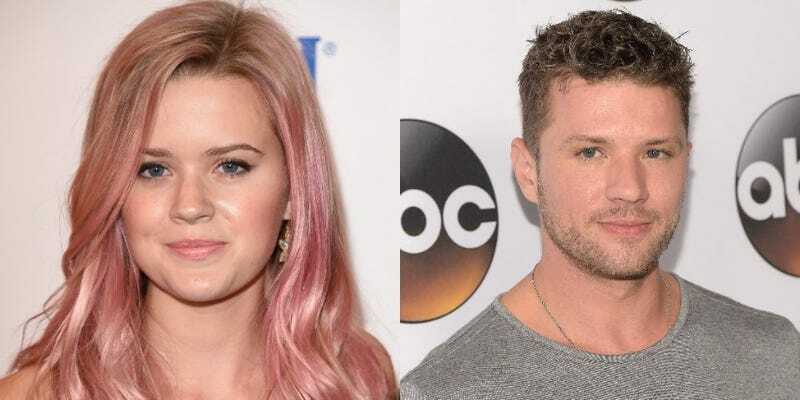 Here’s a fun little tidbit of information about Ryan Phillippe, a man I have not thought about in quite some time–people often mistake his 17-year old daughter Ava for his freakin’ sister. Surprise: she hates it. This fun fact was revealed on Wednesday night’s episode of The Late Late Show with James Corden, when Phillippe told the affable British karaoke machine that due to his eternally youthful visage, people have mistaken his progeny for his sister, a fact that really squicks her out. “My daughter gets embarrassed sometimes by the fact that I do look so young and I get mistaken for her brother sometimes,” he said. After scrolling through images of Ryan Phillippe for this very post, I realized that I have no concept of how old he actually is and could not figure it out even if I tried. “Which repulses her! Like, absolutely repulses her that anyone could mistake me for her brother,” he continued. Wouldn’t it be grosser if people thought she was his girlfriend? Honestly, though, he looks great. Very young. Extremely young. Google informs me that he’s 42 and I would very much like to know the name of his plastic surgeon. The miracle of life continues unabated and so does the #mannequinchallenge. Here is their most recent intersection. Here’s the baby, if you’re interested.